This week has involved a trip to a sports day in a field with friends (humiliation), but it was held in Longridge, a beautiful town on the edge of the Forest of Bowland. And there are sheep in this little small holding that are ready to be shorn, or sheared. We decided that it would be great to take the newly sheared fleeces and spin straight away so we're just waiting for the nod from Andy who is the sheep man and we'll be over there like a rocket. It's interesting how many people want to see something like that but wouldn't necessarily offer up the information. We're all closet fleece fans! Also, our hens have taken to jumping through the hatch on our boat in search of titbits. I admit this is totally my fault because at first when it was a novely I did give Babs a few bits of cheese or a tomato and now I'm reaping the rewards(?) of hens in the boat. The poor dog doesn't know what to do with her - kill her or kiss her. 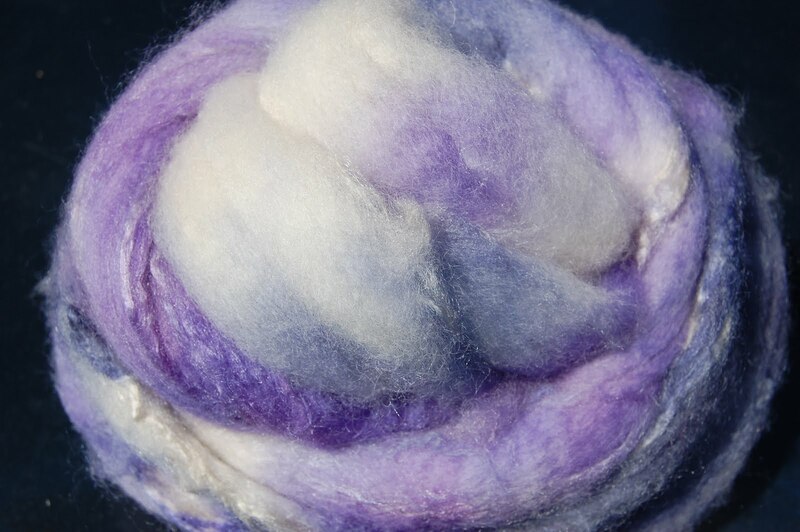 Anyway, this weeks etsy news, I've posted some fibres for spinning and felting, Bluefaced Leicester and silk mix, dyed with pale lilacs and purples. I'm spinning silk and BFL myself at the moment and it's such a lovely fibre to spin with. The silk isn't particularly obvious but there is a beautiful sheen on the finished yarn. 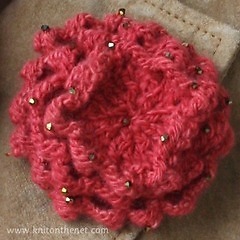 Also, I'm selling some little handspun knitting kits, to try to encourage people to have a go at handspun. It's a little bit of a shot in the dark for some knitters, understandibly and hopefully a little experiment with a corsage kit will allay any fears.